The National Health and Morbidity Survey in 2017 revealed that 34.9% of teenagers between the ages of 13 and 17 are addicted to the internet. 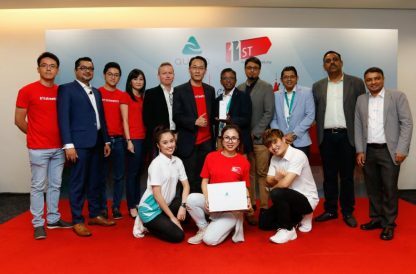 Audra and 11street’s partnership is a step towards tackling internet addiction, and places Malaysia as the first country in Southeast Asia to make this unique internet security solution available to the public. Audra offers two variants – Audra Home for regulating home usage and Audra Business for productivity management. Kuala Lumpur, 09 October 2018 – While the internet has brought about unprecedented levels of convenience and ease to our lifestyles, it has also led to the rise of internet addiction amongst Malaysians. In fact, last year, the Ministry of Health reported that internet addiction has reached alarming rates with 34.9% of teenagers between the ages of 13 and 17 found to be addicted to the Internet. 11street (www.11street.my), one of the leading online marketplaces in Malaysia, is providing a solution to this issue by joining forces with Audra, a unique internet security solution that allows you to set your own rules for your internet usage in your homes and offices. This partnership between Audra and 11street, places Malaysia as the first country in Southeast Asia to make Audra available to the public. The Audra internet security solution provides users with complete control to strike a balance between the usage of technology and personal well-being, while creating a sense of digital wellness. Audra combines a cloud-based service and a gateway device, that sits between a modem and a router, acting as as an additional layer of control and protection to regulate the users’ internet usage. With Audra, users can select settings based on the preferences and needs of their environment, including restricting content and websites, setting time limits on browsing and defending networks from phishing, viruses as well as other attacks on the system. The Audra and 11street management teams with performers at the launch of the event. Mr Mahbubul Matin, Chairman of Dotlines Sdn. Bhd. said, “As we continue to move towards a digitalised nation, there is an urgent need for a safe and user-friendly cyber security feature to ensure the protection of users of all ages. Many of our activities such as banking and shopping are done via the internet, which means not only are we susceptible to online threats, but also decreased productivity in our daily lives. 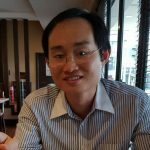 Henry Ho, General Manager of Business Development and Partnership of 11street further added, “11street is excited to partner with Audra to become the first country in Southeast Asia to make this tool available on an online marketplace. We care about our consumers and their well-being; hence it is our role to offer them a real solution—a product that will promote a healthier digital lifestyle in the long run. Via this partnership with 11street, Audra will be making two variants available to Malaysians on the online marketplace: Audra Home and Audra Business. Audra Home is a simple plug-and-play setup system with an inbuilt router that optimises parental controls and provides robust internet security to give families the flexibility to set the right balance in the growth and safety of their children. Audra Business, on the other hand, gives business owners the ability to set the rules for better staff productivity with real-time control of the office wireless networks with the Audra Management App. Audra Business is a gateway device that is attached to an existing wifi router. It also has the ability to whitelist websites while blocking incoming malware and adware. Businesses can now stay protected against any form of data leaks and digital threats with the Distributed Denial of Service (DDoS) attack prevention. Audra operates on an easy graphical user interface (GUI) that is both parent-friendly and admin-friendly. Customers can now purchase Audra in Malaysia via 11street in just a few clicks. Head on over to the Audra Official Store on 11street to purchase a yearly subscription of the Audra Home package, which can be utilised by up to 20 users at a time, at RM699 or the Audra Business package, which retails at RM999 and can accommodate up to 100 concurrent users. Specially for purchases made in 2018 via 11street, customers purchasing the Audra internet security solution for the first three months will also be entitled to have their second year of subscription fee waived. Visit https://www.11street.my/store/audra to find out more. Next articleWin a trip to catch an EPL match with 7-Eleven & Cardiff City FC! Usher in the ONG-some Chinese New Year with 11street! Starting a franchise…as easy as 1, 2…7-Eleven!